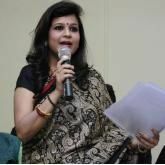 Ankhee Gupta is a Psychological Counsellor and a Stress Management Expert. She mainly deals with depression, stress, negativity, and anxiety. She believes in instilling positivity in the individual through the 'talk therapy' and suggests tips and therapies for handling stress. Apart from working with individuals(personal counseling) and visiting the educational institution. She also conducts seminars, workshops and delivers lectures on motivation. She believes that positivity can enrich souls and help them combat difficult situations. "Being counselled by you was amazing. You taught me the beautiful way of living life.... It was an amazing and loving councelling session with you... Thanks for helping me." "I am very happy after being counselled by Ankhee Ma'am.She helped me a lot through her counselling session,it allowed me to come out of the problem I was facing."